Looking for a discreet way to improve your hearing? Meet the New Posey Hearing Enhancer. This is the first year that the Hearing Enhancer has been available, but get ready for a great future with this new device. The built-in, high sensitivity microphone takes normal sounds and amplifies them; making them much more distinct and clear. Use the Posey Hearing Enhancer to listen to music, watch television, or just visit with family and friends. An easy to operate volume dial allows for adjustment of how much sound is amplified. Soft ear buds are included that are similar to ones you would use with a portable CD or MP3 player. In fact, most people will assume that you are listening to a music player and not using a hearing enhancer. The size of the device allows it to be easily hidden in your pocket and taken with you anywhere you go. A long-lasting LR44 battery is included with the device that will provide high quality sound amplification for a long period of time. Can you use any ear buds with the enhancer. The enhancer is compatible with multiple earbuds. As long as the jack fits the connection of the device, it will work. We have added a page that provides information on how to change the battery; courtesy of the manufacturer. 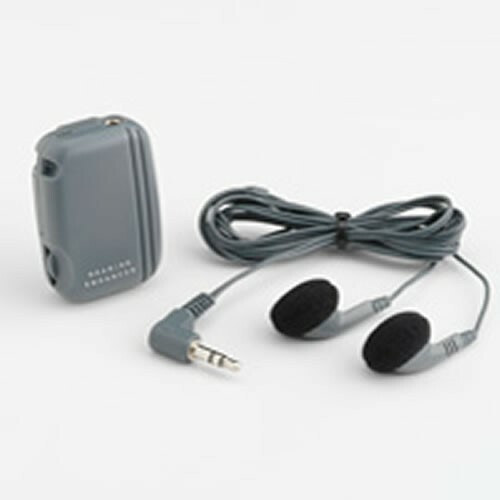 The hearing enhancer runs on a single LR44 battery, according to the manufacturer.